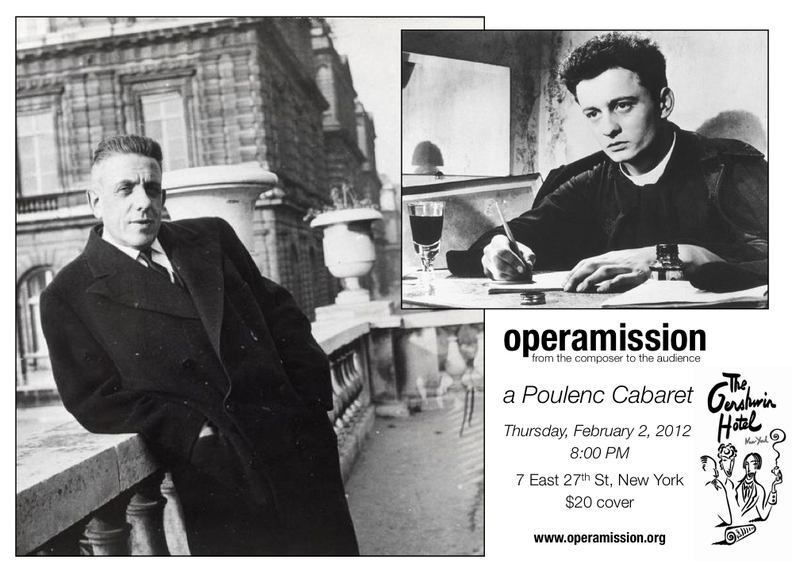 Watch live at http://www.ustream.tv/channel/poulenc-cabaret – the show starts at 20:00 EST on Thursday, 2 February, 2012. I am very excited about this program. How do I make a reservation? Thanks for calling, Dorothy. 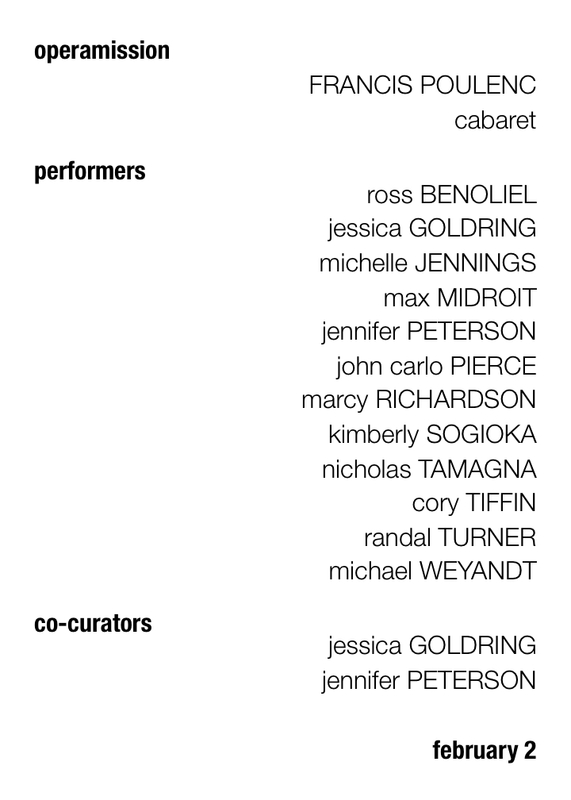 I’ll have your name on a list, but come early to pick your seats and to grab a glass of wine in the cafe. We’re hoping to set up the front rows with cafe tables. Randal sounds gorgeous, you’re in for a treat!